Warning: Please double check your personalisation as how it appears here will be how it appears on the product, including spacing and punctuation. Please do not include accents and special symbols as some of our processes will not allow this. If you can't find what you want, contact us. 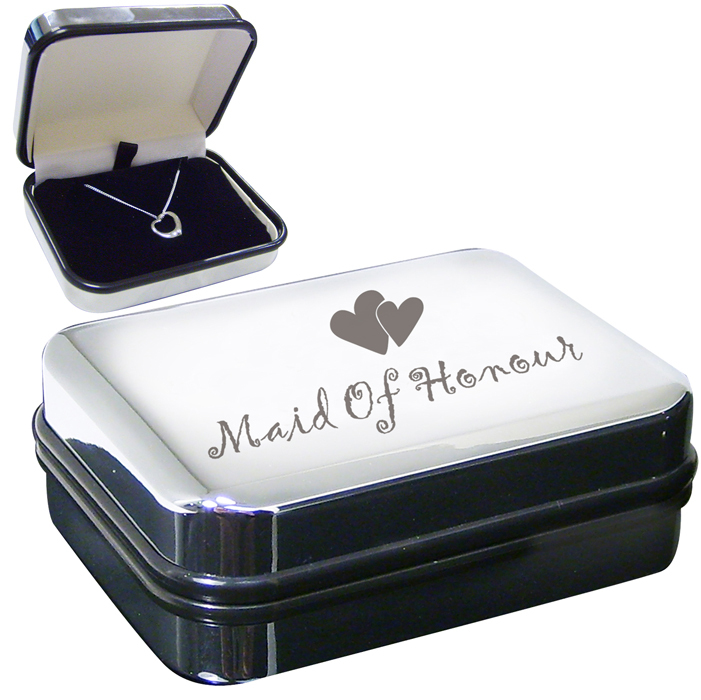 The sterling silver heart necklace comes in a presentation box featuring a heart design and the wording 'Maid of Honour' as standard text.